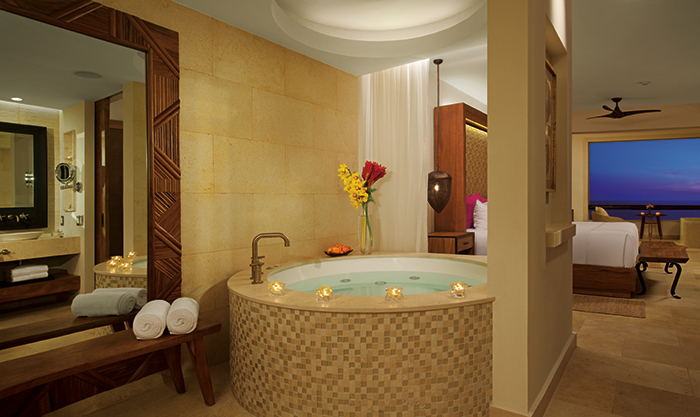 You have made it halfway through the week, Secrets® Resorts & Spas fans! To celebrate, we are sharing a WOW Story of the Week from Secrets Akumal Riviera Maya! Keep reading for a romantic surprise planned by the staff! Happy Anniversary from all of us at Secrets Resorts! Celebrating International Turtle Day with Secrets Resorts & Spas! Greetings from Secrets® Resorts & Spas! Today on the blog we have the pleasure of featuring a guest blog from the Secrets Akumal Riviera Maya e-concierge, Anahí Acosta! Keep reading for a look inside this year’s International Turtle Day at Secrets Akumal Riviera Maya! Guests and fans at Secrets Akumal Riviera Maya celebrate International Turtle Day! Psssst! 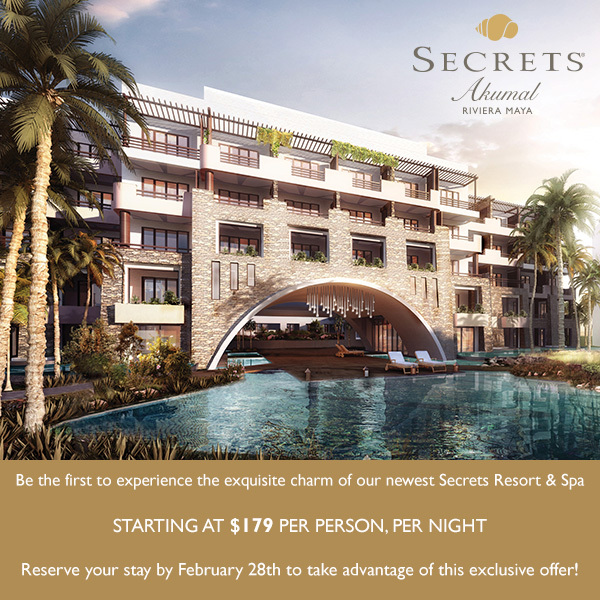 We’ve Got the Secret on How to Score Your Free Trip to the NEW Secrets Akumal Riviera Maya! We have some BIG news that we can’t wait to share! 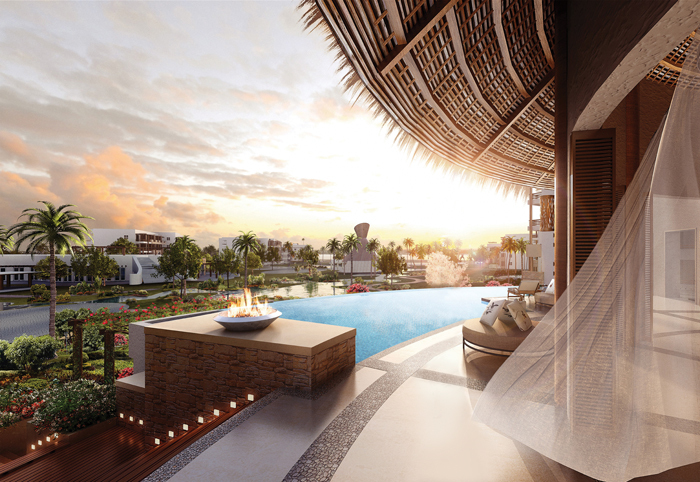 Secrets Akumal Riviera Maya is opening on November 1st and we have your ticket to experience this stunning new resort! The magnificent new Secrets Akumal Riviera Maya Resort & Spa. Sneak Peek at Secrets Akumal Accommodations! 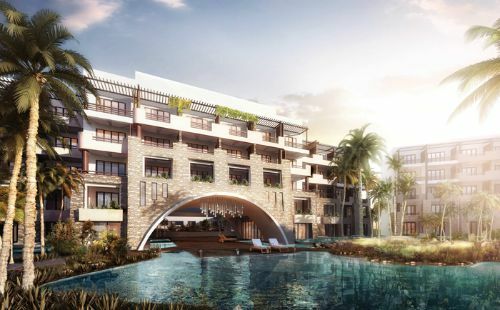 Friday is our favorite day to look ahead to the weekend but it’s also a great day for a sneak peek at one of the things we’re most looking forward to: Secrets Akumal Riviera Maya! Ideally located in the heart of the Riviera Maya along the white sand beaches and calm, clear waters of Akumal, this stunning new resort will open on November 1, 2015 and offer adults a charming, picturesque escape complete with an exceptional Unlimited Luxury® experience. Want to know more about this luxurious new destination? Check out some sneak peek photos of the elegant accommodations guests will be able to enjoy during their stay! 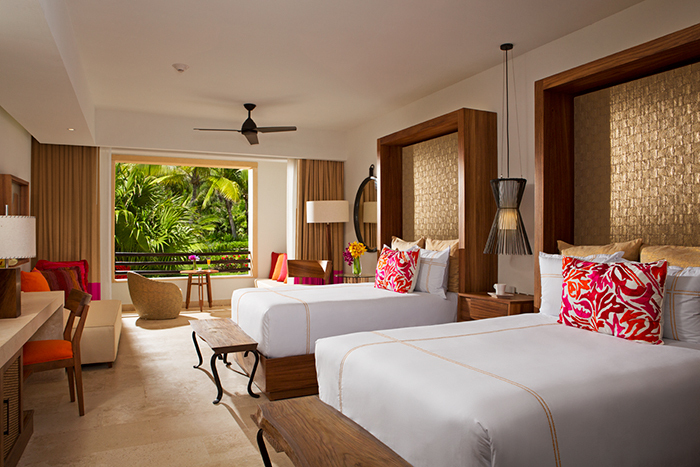 Secrets Akumal Riviera Maya will feature 434 luxurious guest suites, each featuring a king-size bed or two double beds. 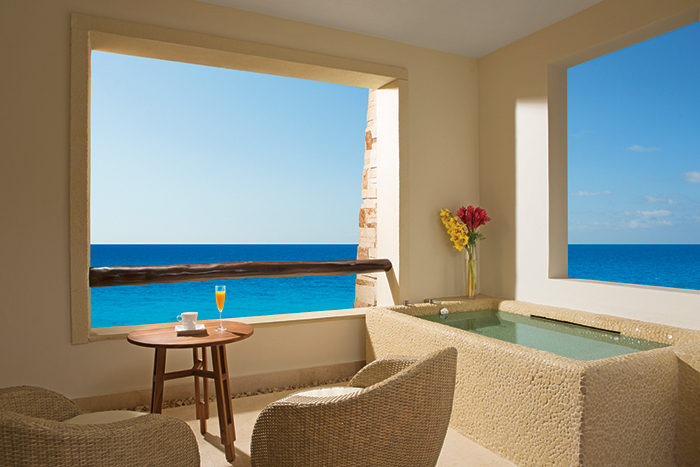 All guest rooms at Secrets Akumal Riviera Maya also feature a private terrace or balcony. Other luxurious room amenities at Secrets Akumal Riviera Maya include an in-suite Jacuzzi for two and complimentary mini-bar. 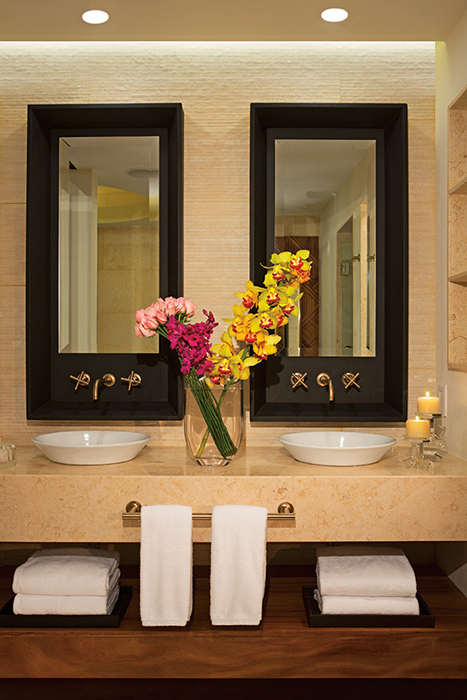 Even the bathrooms at Secrets Akumal Riviera Maya have special touches to make you feel at home! We can guarantee that Secrets Akumal Riviera Maya will be the perfect place for your next getaway! Can’t get enough of these photos? Check out our Facebook page with more beautiful images and updates!